What awaits me at the end? The following Austrian study on the autopsies of 10 people with MS who were critically ill, i.e. who needed to be admitted to an ITU, and died and came to autopsy, tries to answer the question. All these individuals had longstanding MS and had developed respiratory problems, presumably pneumonia and needed ventilation. Importantly, one individual didn’t have MS at autopsy, i.e. the had been misdiagnosed in life; a common problem. Another individual had a co-morbidity and had Lewy bodies in their brain at post-mortem. Lewy bodies are a marker of Parkinson’s disease. Why shouldn’t people with MS not get other neurodegenerative diseases? This study confirms what we already know about MS that the majority of people with MS die from MS-related complications; i.e. aspiration pneumonia, pulmonary emboli, urinary tract infections and septicaemia, suicide, etc. In the largest series of cause of death in MS that has been published, ~75% of deaths were attributable to MS-related complications. I would be interested to know if the pwMS. who had died in this post-mortem series, had signed an advanced directive before ending-up in ITU? An advanced directive needs to be done at a stage of your life when you are of sufficient mind to instruct your doctors and family how you want to be managed when critically ill. I know from a survey we did at Barts-MS several years ago that the majority of pwMS who were in the late, or terminal, stages of their disease and didn’t want intensive therapy. If you haven’t done so already I would urge you to discuss signing an advanced directive with your family and HCPs and then to complete one. 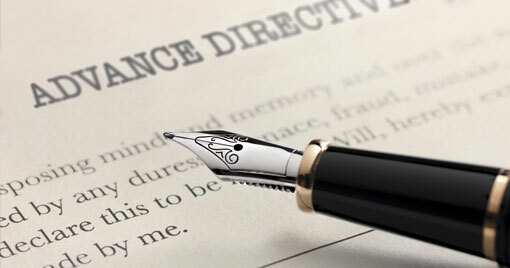 There is good evidence that advanced directives are a very cost-effective tool in improving quality of life and saving you and society unnecessary and sometime futile healthcare expenses. Advanced directives also make things a lot easier for your family; they remove the stress of complex decision-making at the end-of-life. Background: Patients with multiple sclerosis (MS) experience higher mortality rates as compared to the general population. While the risk of intensive care unit (ICU) admission is also reported to be higher, little is known about causes of death CoD in critically ill MS patients. Aim: To study the causes of death (CoD) in the series of critically ill patients with MS verified by autopsy. Methods: We reviewed hospital electronic charts of MS patients treated at the neurological ICU of a tertiary care hospital between 2000 and 2015. We compared clinical and pathological CoD for those who were autopsied. Results: Overall, 10 patients were identified (seven female; median age at death 65 years, range 27-80), and six of them were autopsied. The median MS duration prior to ICU admission was 27.5 years (range 1-50), and the median EDSS score at the time of ICU admission was 9 (range 5-9.5). The median length of ICU stay was 3 days (range 2-213). All the individuals in our series had experienced respiratory insufficiency during their ICU stay. The autopsy examination of brain tissue did not reveal evidences of MS lesions in one patient. In another patient, Lewy bodies were found on brain immunohistochemistry. Conclusion: Mortality in critically ill MS patients is largely driven by respiratory complications. Sporadic disparities between clinical and pathological findings can be expected. Yes, I did an advanced directive some years ago but this is over-ridden by the Lasting Power of Attorney process which I have now put in motion. A bit like doing a will – you put it off until 'shamed/scared' by friends and once it's done you feel immeasurably better! I'm 66 and hope it will be many years before it gets used but I know I've done the right thing by sorting it now. Yes I did one as soon as I was diagnosed with cis. I have a dnr in place as well. both put in place for all the issues in your post. I take comfort from them as both give me control. I put an advanced directive in place as soon as I was diagnosed. I also have a DNR because I am terrified of the end being dragged out. This topic seems to be a bit taboo and I almost feel like I shouldn't make this comment. Been on my 'to do' list since a similar post earlier this year however being important but never urgent it's still there. Thanks for the reminder!